Now that's a lot of frogs!!! I kept expecting a crocodile to jump out at any second!!!! I've taken similar videos of our frogs here in Texas but they usually sing at night so the video is complete darkness. We have bullfrogs too, but the ones that sing in the spring are called spring peepers and they're just so darn cute! HA! That is a lot of frogs! Thanks for sharing this video clip. I did enjoy it! Quite a chorus for sure. I liked Minki stopping to look out over the water like what is wrong with you crazy frogs :). 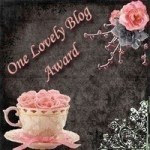 Hi Liesl, thanks so much for visiting my blog. 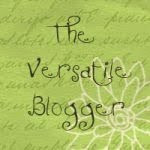 I'm so glad to have found yours - it's fascinating to read a blog from Africa! My Package from Texwisgirl has Finally Arrived!! !